A network administrator role often serves as the entry-level way for non-IT professionals to start a career in the IT field, without settling for a meager salary at the same time. The national average salary for network administrators costs slightly above $67,000 per year. Experience determines the actual compensation, so anyone with no IT background should expect to earn below the average pay. However, acquiring an industry certificate improves your chances of gaining a higher wage. For instance, CompTIA Network+ is an example of a fundamental certificate that proves your skills in computer networking tasks. Network+ or CCNA: Which Should You Choose? Those who are interested in becoming a network administrator should consider taking a CompTIA Network+ N10-007 exam. This vendor-neutral certificate suits professionals who either have a few years of IT experience or for inexperienced individuals who want to switch careers. It’s also a good way to strengthen your skills once you decide your chosen career path. A common misconception about IT careers involves having an undergraduate degree to become qualified. On the contrary, you only need to take a vocational course and pass a certification test. 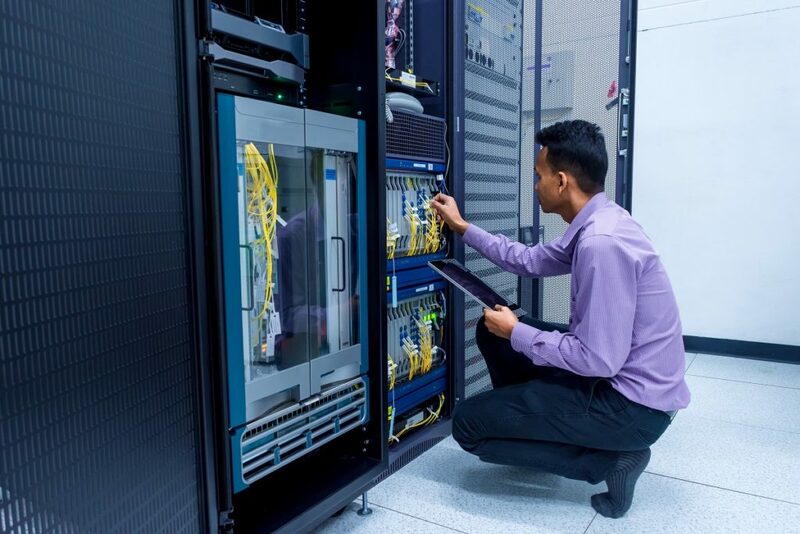 For experienced IT professionals, they could take the CCNA Routing and Switching for a specialized focus on computer networking particularly on Cisco technologies. Take note that CCNA certification is more difficult to obtain because it covers more extensive topics, hence it’s not an ideal test for entry-level IT professionals or non-IT workers. What Do Network Administrators Do? Network administrators are mainly responsible for overseeing performance and security details of different applications and devices within a private network. You should enjoy solving problems as part of your work personality for this job to be a good fit. As an example, network administrators need to use their technical expertise to solve network latency that contributes to poor performance. That’s why people who have been exposed to a problem-solving environment have the edge, even if they are unfamiliar with IT operations. Good time management skills are also important, but it’s something that any professional should have anyway. However, network administration differs in a way that problems require immediate attention all at once. When this happens, you have to be capable of thinking on your feet to prioritize repairs and solutions without compromising network security. If your job as a network administrator somehow focuses on information security, there’s a good chance for you to advance your career by applying for a cybersecurity position. If you have no IT experience, then Network+ certification is definitely the better choice. The same applies to IT professionals who want to expand their skill set. Experienced network administrators should choose CCNA if they want to work in a higher networking position. Whichever you choose, it’s important to review by taking practice exams since these certifications are quite expensive.